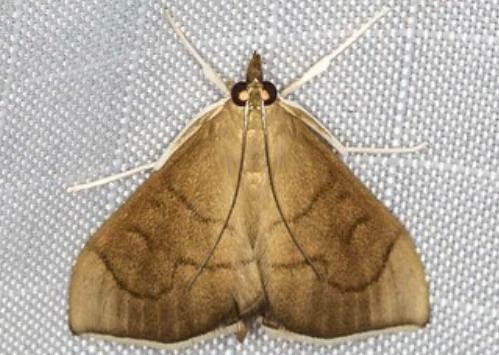 The adult moth has pale brown wings, with vague incomplete dark zig-zag lines across each wing. The moth has a wingspan of about 3 cms. Volume 4, Part 8 (1880), p. 64, No. 12. Part 34, Supplement 4 (1865), pp. 1446-1447.